In the years since his graduation, Donoho has been an integral part of the rowing community. He is currently the Midwest Region Representative on the Board of Directors at USRowing. In 2018, he raced with Palm Beach Crew in F 4- at World Rowing Masters Regatta. 3-time World Champion and 2-time Olympian in the sport of rowing. Wherley also won the 2008 Boat Race with the University of Oxford (as the oldest rower in the history of the event) and was inducted into the National Rowing Hall of Fame in 2014. He is currently the president of Penn AC Rowing Association and lives in Philadelphia with his wife, Janet Distel, and their daughter. 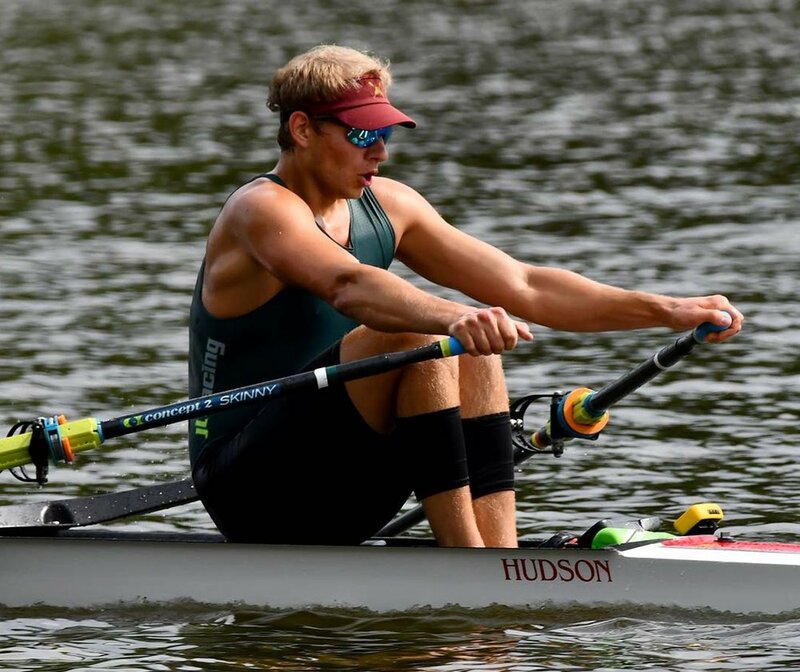 Since his graduation a decade ago, he has shared membership at both Penn Athletic Club and California Rowing Club in preparation for the London Olympic Olympic Trials in both the eight and the pair. In 2018, he competed in the Head of the Charles Men's Master Eights for California Rowing Club. He currently lives in San Francisco. Lucas won the 1x at the Pan American Trials in 2018 and raced in Brazil for the 2019 Pan America Games Qualification Regatta in 2019. After missing the A final by less than half a second, Bellows finished strong taking first place in the B final by a considerable margin, placing 7th overall, he will be invited back to the regatta to represent the United States again next year. Peter moved to Boston after graduation and currently works at a local non-profit. In 2018, he will be competing at Head of the Charles in the Men’s Club Eight for Riverside Boat Club. Competed at the 2018 FISU World University Rowing Championship with the USA World University team. Seated four set in the Men's 8+, the USA earned 4th place (5:46). A crew from Minnesota Boat Club will include several alumni, a former coach of the novice team, and a former Varsity assistant coach at the Head of the Charles in 2018. Alumni participated in the Medtronic Twin Cities Marathon.